Crews from Southmead and Temple fire stations were called to a small oven fire, situated in the cooking area of the basement of a hostel. Firefighters found the fire was out on arrival. They remained on site and used a thermal imaging camera to check for hotspots and a positive pressure ventilation fan was used to clear smoke. 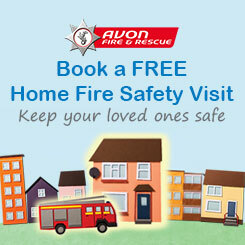 Firefighters also provided fire safety advice to several homes within the surrounding area.